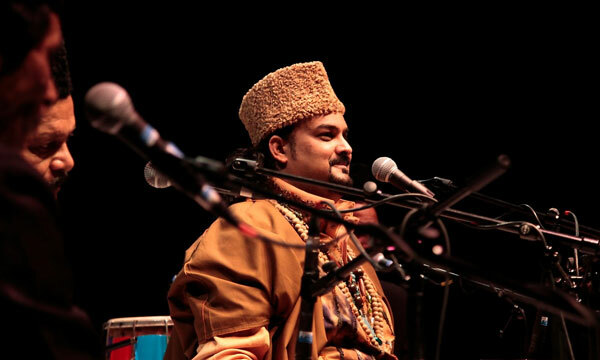 Referred to as a ‘Roving Ambassador for Pakistan’, the legendary qawwal, Amjad Sabri, has recently collaborated with guitarist Asad Ahmed to promote the art of Qawwali at a Qawwali and Rock Fusion performance in Karachi. Amjad Sabri has spoken about the lack of support by the government for Qawwals in Pakistan. He believes that if given the means and support to form a school, the experts like him can help to take this art to next level. It’s worth mentioning here that our qawwals have not only helped improve the image of the country throughout the world but have also ensured that this form of music remains popular. The qawwal recently collaborated with the guitarist Asad Ahmed on a qawwali and rock fusion performance in Karachi. After the performance, the former CokeStudio guitarist praised the qawwal and even termed qawwals as “true rockstars”. The duet is already looking forward to collaborating with other qawwali musicians in order to see what else can be done with this style of music. We wish the duo all the luck and hope that their initiative materializes soon. Previous articleWikiLeaks Calls Mubasher Lucman a Liar!